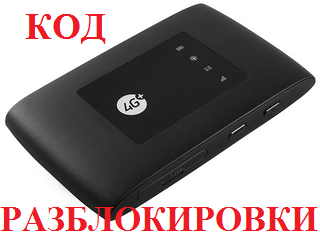 unlock code for the router MegaFon MR150-5, ZTE MF920, MTS and Beeline 835F ZTE MF920.Delaem all IMEI. Unlock code is completely safe and is provided by the manufacturer. ATTENTION!!! At whom ZTE MF920T the code NOT TO ORDER. To you here https://www.plati.market/asp/pay.asp?idd=1992814〈=en-US. How do you know that you have ZTE MF920T? It is necessary to go into the folder with the program installed on the computer and find the file config.ini. Open it and find the line APP_IN_VERSION = PCW_MTSRUSMF920T1AV1.0.0B04. As you can see there is indicated MTSRUSMF920T. 1. Make the code order and obtain the unlock code. 2. Insert the SIM card of another operator. 3. Connect the modem to the computer and go to the web interface of the router (status.megafon.ru or 192.168.0.1). 4. If the screen is the login / password prompt, enter them (the default admin / admin). 5. A page request the unlock code, enter the code ordered. 6. The router successfully unblocked. 7. The big request to leave a comment for the purchased goods.